Iron Grip: Warlord, in short, is all about fun. 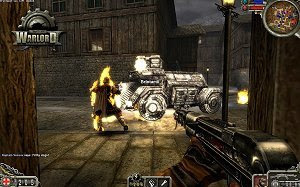 It features single and cooperative multiplayer modes, low system requirements, small file space, and a unique combination of RTS/FPS gameplay. It immerses the player in an epic scale of total war, set in the Iron Grip universe.